Adam Clayton Powell, Sr. was born on May 5 in Franklin County, Virginia to former slaves of African American, Native American, and German ancestry. He was raised in a family of 17 children. During his youth, Powell lived a reckless life filled with gambling. At the age of 19, Powell experienced a religious conversion to Christianity at a revival meeting. After failing to gain entrance into Howard University School of Law, he decided to study religion. In 1888, he enrolled in a theology program at Wayland Seminary and College in Washington, D.C. earning his degree in 1892. In July 30, 1889, Powell married Mattie Fletcher. They had two children: Blanch and Adam Clayton Powell, Jr. Powell held several ministerial positions. In 1893 he became pastor of Ebenezer Baptist Church in Philadelphia, Pennsylvania. Under his leadership, the once small congregation of 25 increased to 600 members. In 1908, Powell became pastor of Abyssinian Baptist Church in lower Manhattan, New York. His energetic preaching style attracted over 1,500 members. Powell’s conservative social message warned against social immorality, but his liberal activist preaching urged black parishioners to engage in protest against racial discrimination. Powell’s activism reached beyond his pulpit as a member of the National Association for the Advancement of Colored People (NAACP) and the National Urban League. On July 28, 1917, Powell co-organized with other religious leaders and civil rights activists a “silent protest parade” in protest of the East St. Louis, Illinois, massacre of blacks by a white mob on July 2, 1917, as well as other recent anti-black mob violence in Memphis, Tennessee, and Waco, Texas. In 1923, Powell moved Abyssinian Baptist to a new sanctuary at 132 West 138 Street in Harlem, New York. With its new location in the center what would soon be the largest black urban community in the nation, Powell attracts far more new members to Abyssinian Baptist. In the 1930s, the church membership swelled to 14,000, making it the single largest church congregation in the United States. During the Great Depression, Powell waged successful campaigns to feed the poor and to create better employment opportunities and city services for African Americans. 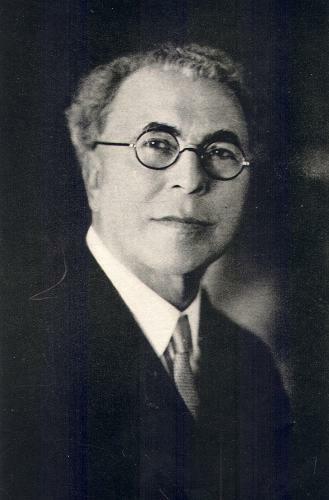 In 1937, Powell retired as pastor and his son, Adam Clayton Powell, Jr. replaced him on November 1. Adam Clayton Powell, Sr. died in New York City, on June 12, 1953 at the age of 88. Charles V. Hamilton, Adam Clayton Powell, Jr.: The Political Biography of an American Dilemma (New York: Athenaeum, 1991); Will Haygood, King of the Cats: The Life and Times of Adam Clayton Powell, Jr. (New York: Houghton Mifflin, 1993); “Dr. A. C. Powell Sr., Minister, 88, Dead.” New York Times (June 13, 1953), 15.